It will be a full year of breaking champagne bottles against sparkling new ship hulls. Every new cruise ship gives cruise lines the chance to spread their wings and launch design, culinary and entertainment innovations. This year, there are even new-in-class ships never seen before. Here's what's new at sea in 2017. First out of the gate, luxury small ship cruise line Seabourn's Encore was christened in Singapore the first week of January and is sailing in Asia, heading to Australia, New Zealand, then back to Dubai and the Mediterranean. What we love: Curving lines, feel of a sensuous, luxury yacht styled by celebrity hospitality designer Adam Thihany. All suites, 300 of them, with marble baths, all veranda. The culinary styling’s of 3-Michelin-starred chef Thomas Keller in the Grill. An aft water sports marina that opens when the ship anchors, so guests can kayak, windsurf and paddle about in the sea. The draped Retreat on the top deck, with private cabanas, a spa cabana, bar and the sea breeze. Seabourn's partnership with UNESCO promoting sustainable tourism at World Heritage sites. April brings us the ninth and largest ship for luxury, small ship line Silversea Cruises. The Muse will be the flagship and the largest in the fleet. What we love: Silversea is calling it a leap forward to 'ultra-luxury ocean cruising'. 600 guests will enjoy 7 levels of suites. An incredible eight restaurants, three of them outdoors, including the line's signature pool deck Hot Rocks al fresco, table-top meat and seafood grill. Only one involves a fee, La Dame, the Relais & Chateaux French restaurant with local ingredients. A sophisticated indoor/outdoor cigar and whisky bar. Twin sister ships to Viking Star and Viking Sea, Viking's two new ships launch early spring and late fall this year. 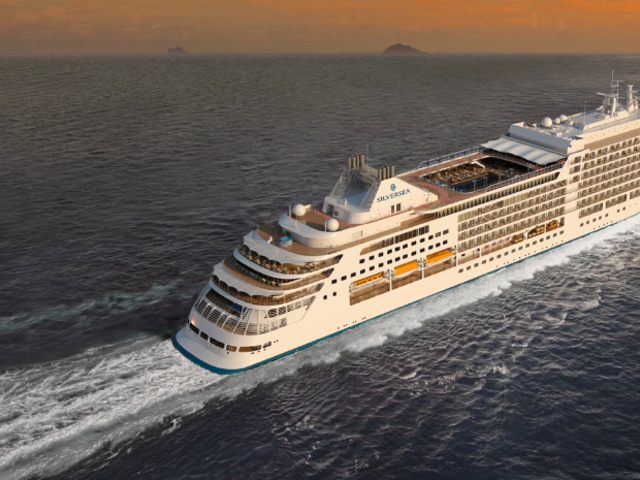 Also like their sister ships, Viking Sky and Viking Sun will host 930 guests on cruises that include long calls in port and plenty of overnight calls so guests can immerse themselves in the destination experience. 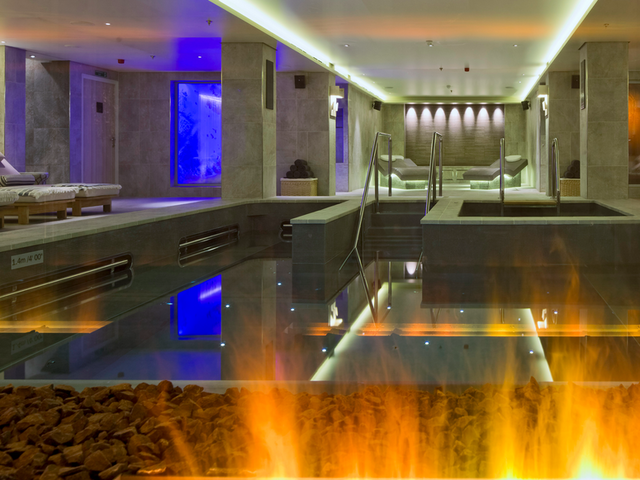 What we love: Viking's signature 'Nordic' lifestyle: Scandinavian design, a Nordic spa, Finnish sauna, even a 'snow room', plus a cozy and sociable fire pit. The indoor/outdoor Aquavit Terrace dining rooms, 'magrodome' pool with glass roof that opens in fair weather, and a main restaurant also transforms from cozy 'hygge' atmosphere to a breezy, open air venue. 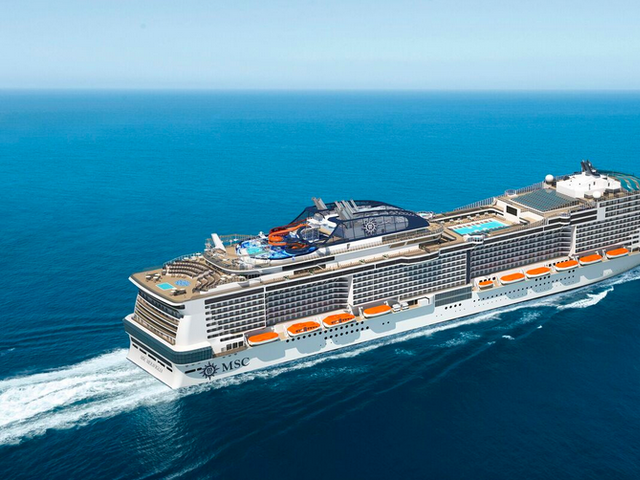 Slated as the biggest ship at sea by passenger capacity when it launches this spring, the MSC Meraviglia means 'wonder', with 3 more ships in its class due by the end of the decade. MSC Meraviglia will homeport in Europe. What we love: The two-deck indoor amusement park, three large pools, and massive aqua park. The Mediterranean-style indoor promenade featuring a 262-foot-long LED "sky" that transforms through the day. MSC's wristband technology, for making payments and bookings and keeping track of family members. And who wouldn't be excited about Cirque du Soleil's first at-sea partnership? Plus the eco-friendly technology to neutralize carbon dioxide emissions and equipment to be water-emission free. 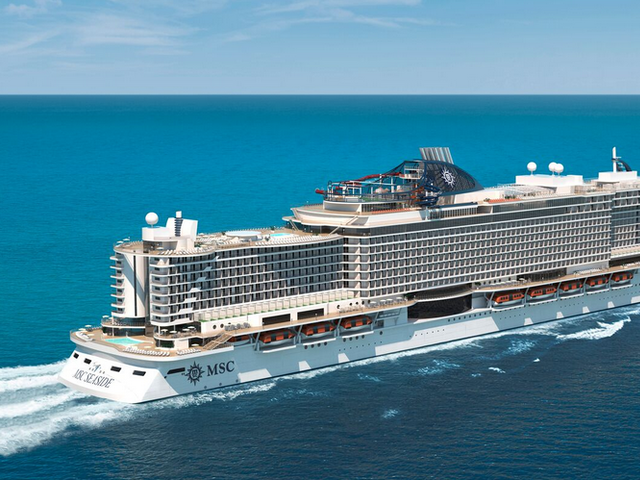 Launching at the end of the year, the MSC Seaside launches a new class of ships, just for MSC in North America. It will homeport in Miami and sail year-round in the Caribbean. What we love: An unimaginable nearly half million square feet of public space. See-through glass walkways (top picture) that hang over the ocean and open-air spa. 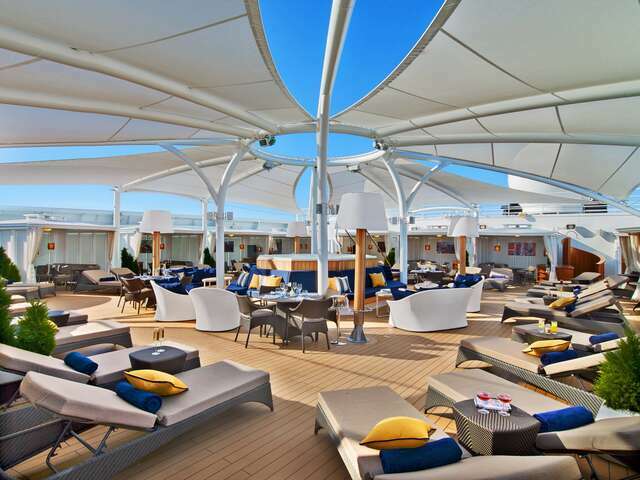 An outdoor promenade that wraps around the whole ship where you can enjoy shops, bars and alfresco dining. Terraced balcony cabins, with both sea views and a view over the promenade below. Five water slides in a huge aqua park, a ropes course, and a zipline. An expanded MSC Yacht Club – the line’s ship-within-a-ship concept so family fun and butler-catered refined luxury are all on the same ship. 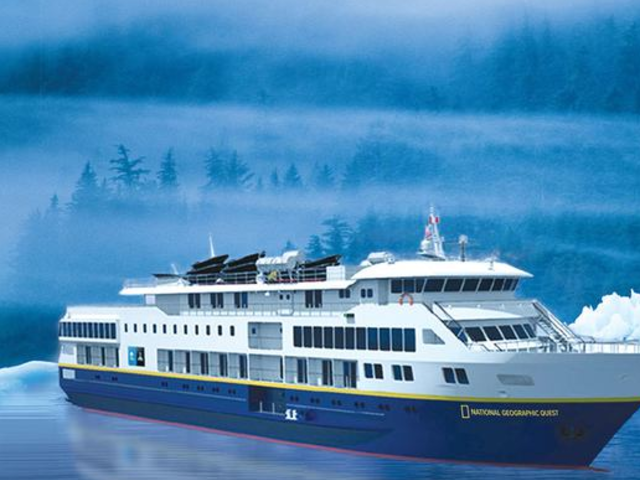 When Lindblad Expeditions launches the National Geographic Quest in the summer for sailings in Alaska, the Pacific Northwest and Central America, it will be the largest ship in the fleet. Not your traditional expedition ship. 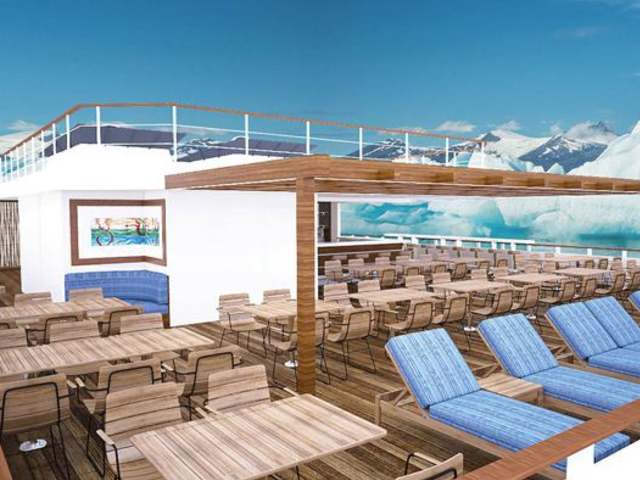 Half of the 50 cabins will have balconies. Family-friendly connecting rooms. Even the rarest of expedition cruise ship amenities: a spa! What we love: The spirit of exploration. Technology that connects you to nature, like remotely operated vehicles (ROV), a hydrophone and bow-cam to hear humpback whales and film dolphins. Being able to get close to Nature with on-board sea kayaks, paddleboards, expedition landing craft, warm and cold water diving gear, and underwater cameras. This summer, American Cruise Lines launches its first new ship in several years. 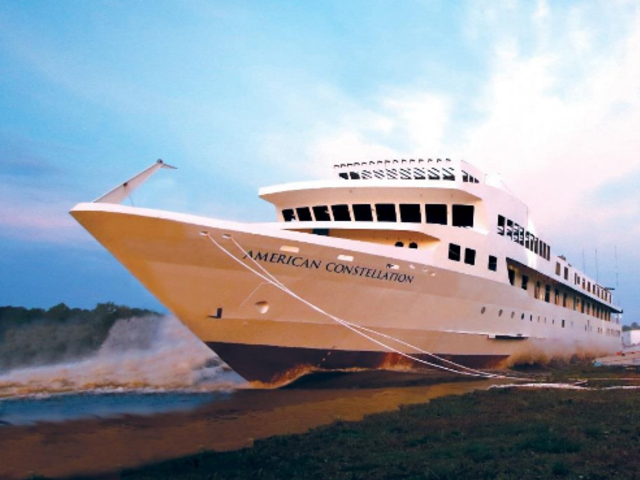 The American Constellation will be the cruise line's largest ship; a 163-guest coastal cruise ship built to sail itineraries on the US Eastern coastline and inland waterways including Chesapeake Bay, New England, Hudson River, Mid-Atlantic Inland Passage, and the Southern U.S.
What we love: Most staterooms have private balconies and there's even a selection of single rooms for solo travelers. Menus with regional cuisine, sourcing local ingredients at ports. Star Clipper celebrates its silver anniversary not just with a new addition to its fleet of masted sailing ships, but a near-replica of the largest ship of its kind ever built. 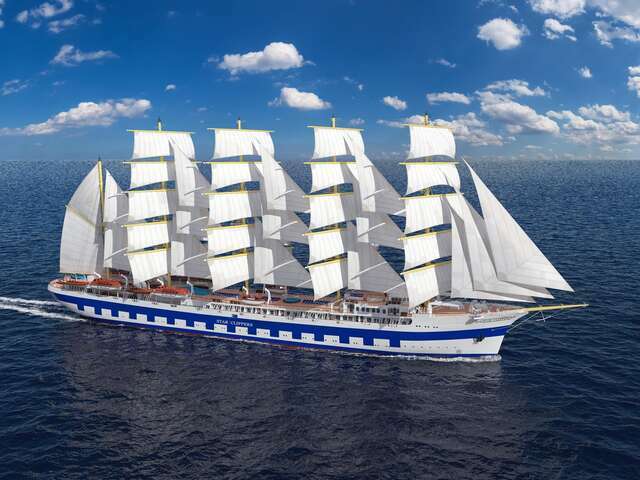 The 300-passenger, 5-masted Flying Clipper will be powered by 32 sails constituting nearly 40,000 square feet of sail (with backup fuel-efficient engines). What we love: Wind-through-your-hair sailing adventure. Get harnessed into the rigging and climb to the crow's nest for the best views at sea; learn knot-tying, celestial navigation, and sailing techniques. Two nets strung on either side of the bowsprit rock you gently in the sun. 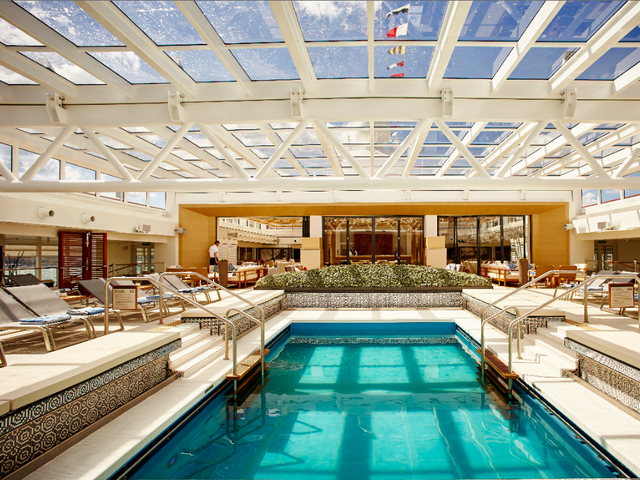 Three pools, including one that arcs sunlight through the ship's atrium into the dining room, a dive-training pool descending 18 feet through 2 decks with glass sides so passengers can watch at the Dive Bar, a water sports platform with snorkeling, kayaks, water skiing.